When can I remove PMI (Private Mortgage Insurance) ? If you have an FHA Loan, the Mortgage Insurance is there to stay . . .for the term of the loan. Not fun at all. If you have a Conventional Loan (backed by Fannie Mae or Freddie Mac), there are different procedures for removing that unwanted PMI. Under certain circumstances, federal law gives you the right to cancel PMI or requires that PMI automatically terminate. (2) the date the principal balance actually reaches 80% of the original value of the property. value” means the lesser of the contract sales price of the property or the appraised value of the property at the time the loan was closed. Notice that the value determination in this “definition” by Lenders doesn’t have to do with the present market value of your home, but rather the “value” set at the time you purchased it. Based on the PMI definition, your loan balance need to get to $200,000 (i.e. 80% LTV of $250,000) before PMI could be removed by request. 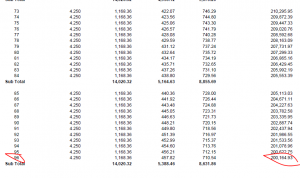 Looking at the Amortization chart below, this would mean 96 months (payments). This is not very exciting if you consider that in this same scenario, say the market value of your home reaches $300,000 after just 5 years (60 payments) ….. because even though your Principal balance after 60 payments is $215,668 (see snapshot below), and your market value is (say) $300,000 you continue paying PMI despite your true LTV being just 72.22% !! 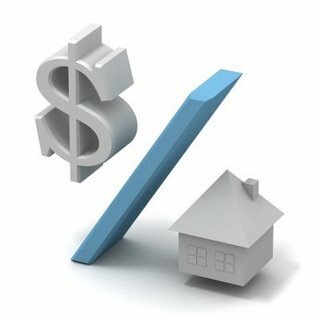 Under the Homeowners Protection Act of 1998, if your loan closed on or after July 29, 1999 as a single-family primary residence and if you are current on your loan payments, PMI will automatically terminate on the date the principal balance of your loan is first scheduled to reach 78% of the original value of the property. If you are not current on your loan payments as of that date, PMI will automatically terminate when you thereafter become current on your payments. In any event, PMI will not be required on your mortgage loan beyond the date that is the midpoint of the amortization period for the loan if you are current on your payments on that date. According to California law, a borrower can request cancellation of PMI when the mortgage balance drops, based on the MARKET VALUE of the home. (This is more favorable than basing everything on the value of the home at the time it was purchased, which is what we’ve described above). California law, Civil Code Sec. 2954.12, states PMI can be removed if “indebtedness secured by the senior deed of trust or mortgage on the subject property is equal to or less than 75 percent of the lesser of (A) if the loan was made for purchase of the property, the sales price of the property under such purchase; or (B) the appraised value of the property, as determined by the appraisal conducted in connection with the making of the loan.” Per Sec. 2954.6, cancellation of PMI can be based on “appreciation of the value of the property derived from a current appraisal performed by an appraiser selected by the lender or servicer, and paid for by the borrower”. California Civil Code 2954.6(a), (b) and (c) also state that when PMI is required as a condition of a mortgage, the mortgage lender is responsible for disclosing to the borrower when he/she can cancel the PMI. This puts borrowers in a fairly strong position because if correctly interpreted, the law puts the responsibility on the Lender. So in California, there seem to be more favorable rules governing the removal of PMI than Federal Law provides nationally under the Homeownership Protection Act (1998).